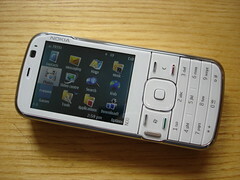 Ricky Cadden presents an overview of the Nokia N79 smartphone to go with his full text review: http://www.mobileburn.com/review.jsp?Id=6233. The Nokia N79 might get overshadowed by some of its flashier N series siblings like the Nokia N96 but it should not be ignored. Nokia's Nseries phones have all been feature-packed wonders of miniaturisation. 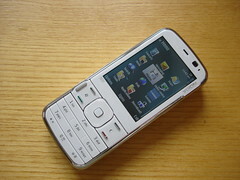 Nokia N79 Symbian smartphone. Announced 2008, August. Features 3G, 2.4″ TFT display, 5 MP camera, Wi-Fi, GPS, Bluetooth. Nokia's N79 looks good if you prefer a conventional handset that doesn't skimp on features. 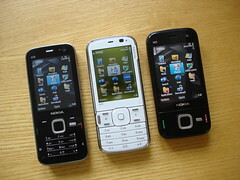 Nokia N79 now in India redefining cool !